The pool will open on Friday and Saturday at 7:00 a.m. for athletes and coaches. Athlete/coach entrance will be on the North side of the pool complex. General spectator and VIP/Media entrance will open at 8:00 a.m. The entrance is located at the Southeast corner of the pool complex. The following items will not be allowed in the pool complex: tobacco, controlled substances, alcohol, weapons, pets, and glass containers. Ice chests must be smaller than 14” x 14” x 14”. Ice chests, bags & purses may be checked at the gate. The spectator area will be tented with professional tenting. No portable tents will be allowed in the bleachers, on the grass surrounding the competition pool, or on the concrete pool deck. 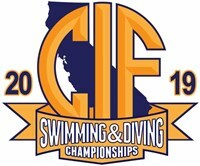 Chairs will not be allowed on the concrete steps or pool deck for swimming or diving championships. There will be a $10.00 general parking fee at the facility each day. This will include cars with handicap passes. All general parking can be accessed off the Millbrook/Cole intersection. There will be no general parking in the lots off Teague and Millbrook. VIP/Media/Officials, with valid parking passes/credentials, will utilize the VIP parking lot off of Teague Avenue in-between the tennis courts and track. All RV parking will be in general parking. There is no overnight parking of RVs on the facility.